PODIM Challenge Roadshow in Podgorica! PODIM – the biggest and most influential startup conference in the European Adriatic & Balkan regions is coming to Podgorica! Join us at the special PODIM pre-event, organized by Podim and Digitalizuj.me, for all startups from Montenegro, looking for investment, networking and growth opportunities! We will talk about smart cities and smart agriculture, share tips and tricks on fundraising and help you recognize if your business is ready for blockchain, cryptos or ICOs! The event will take place on Wednesday, 28 February 2018, from 17.00 to 20.00 at doMEn in Podgorica. 2 startups from Montenegro will have the special opportunity to receive 2 free tickets, free accommodation in Maribor during the conference and all other PODIM Conference benefits for start-ups. 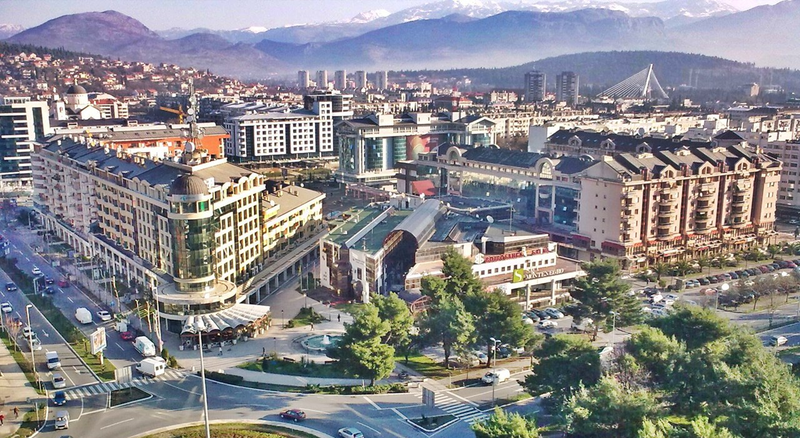 Learn all about the special opportunity for startups from Montenegro and meet experienced investors and entrepreneurs from the region at the PODIM pre-event in Podgorica! Matt Kuppers, Founder&CEO, Startup Manufactory, London: "How to identify competitive advantage in AgroBusiness"
Startups will have the unique opportunity to pitch their startup in front of investors and receive invaluable feedback and meet the PODIM Conference team. Format: 3 min pitch. If you want to pitch, you have to register for the event on the Eventbrite. Slides should be sent to challenge@podim.org at least a day prior the event. Further instruction will be sent by email. Max 10 startups will be choosen to pitch on stage. Don't forget to visit http://podim.org/montenegro and seize the unique opportunity for Montenegrian startups! Time for guests to connect in an informal atmosphere.